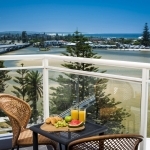 Stay in a stunning 4 Star Central Coast Apartment and play at the regions highest quality courses. Stay and Play in the heart of the Gold Coast. This deluxe Gold Coast Golf Package has all the premium finishes you would want from a quality golf getaway. Luxury apartments, first class airport to hotel and golf course transfers and premium selection of golf courses. Stay at the luxurious 5 star Intercontinental Sanctuary Cove + 1 round each with cart at the stunning Palms and Pines Courses. Staying at the breathtaking Sebel Pelican Waters. Enjoy 2 nights + 2 rounds of golf for 2 people. 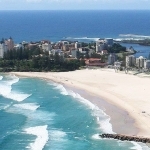 3, 4 and 5 night packages, staying in a quality Mooloolaba Resort, while enjoying rounds at the Sunshine Coast's premier resort golf courses. Enquire about a Custom Stay & Play Package!